Mother’s Day is approaching, on the second Sunday of May. It is a good time to express your love, care and feelings to your Mother. 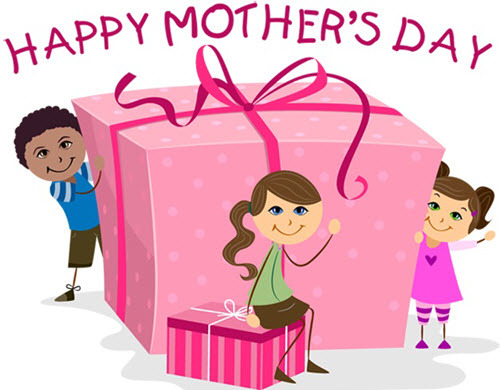 Mothers Day is one of the best days for Mom, it is celebrated annually in all over the world on different days and different ways to honor Mother and Grandmother for their con contribution to family and society. Here, some good ideas are shared to help you better celebrate this loving festival with your family. Mother seems to be a simple and common word, but do you know the real meaning of this word? I think you can share this with your Mom and thank for her devotion for you. “R” means right, and she’ll always be. If you want to spend this festival uniquely and specially this Sunday, here are some good ideas which will make your Mother touching and happy. Pretty sweet-heart. Breakfast in Bed – It is the one of the best ways to Surprise your busy mom on Mothers Day. Make a special breakfast for mom and serve her in Bed, She will definitely proud of you. Clean the house – Clean your house without being asked it is an excellent way to make a day less stressful for mom. Make a gift – Gift your mom a homemade craft, flower, jewellery, or a meaningful greeting card with quotes and poems. Throw a Surprise Party – Invite some special guests to home and surprise mom with a Mother’s Day Party. Spend quality time with family – Spend mothers day with your family and make a to do list for the day with family. Make a Family Video – Create a video of special images / videos of your family on internet and play the video on a big screen. The video will make her day special. Wish you a perfect and happy Mother’s Day. This entry was posted in News, other and tagged mother's day celebration, mother's day gifts by IosdroneD. Bookmark the permalink.